Engineering Books for Kids! #SaturdayMorningCartoons « Adafruit Industries – Makers, hackers, artists, designers and engineers! The Godmother of maker women was World War 2’s Rosie “We Can Do It!” The Riveter, whom the title character of this book is lucky enough to have as a great-great aunt. 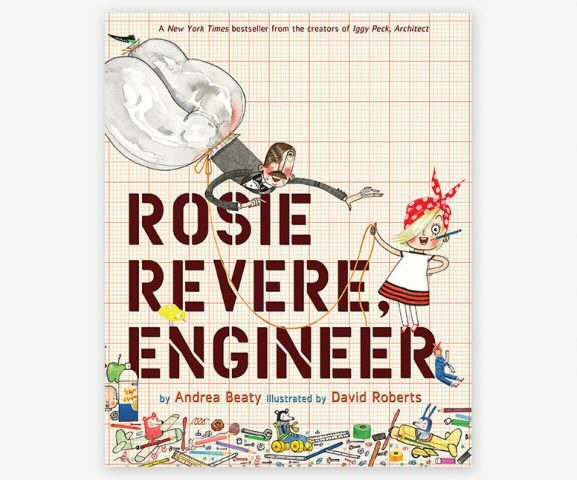 Rosie (the younger) is too shy to talk about her passion for inventing, but is motivated by a timely visit from Rosie (the elder) to pursue her dreams, attempt to build a flying machine, and start wearing a polka-dotted scarf around her head.